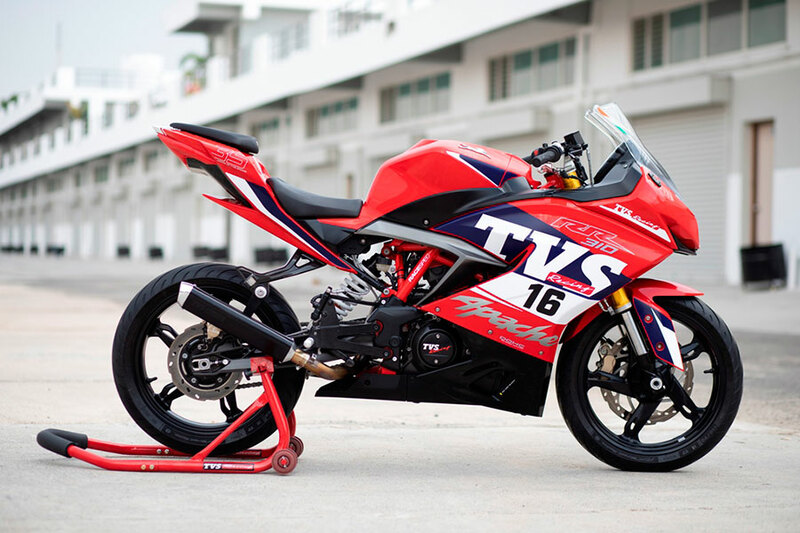 TVS Racing, the factory racing arm of TVS Motor Company, is geared up for the 2018 season of the Indian National Motorcycle Racing Championship (INMRC), starting on June 08 at Kari Motor Speedway, Coimbatore. The team is participating in two competitive categories this season, Group B – Super Sport category and Group C – Pro-Stock category both under 165 cc segment. TVS Racing will also flag off the first edition of TVS Apache RR One Make Series in the open category, which will see the introduction of the race spec Apache RR 310. 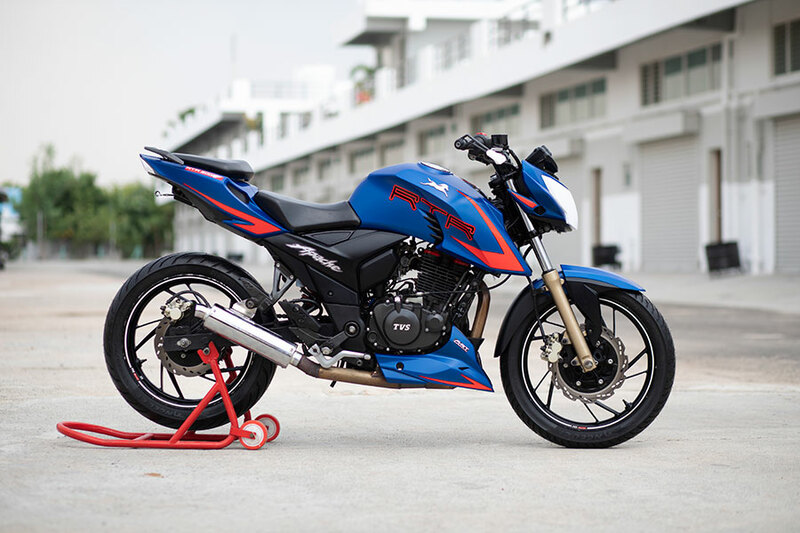 The team will also field the new, race-tuned Apache RTR 200 Version 2.0 in the TVS One Make Novice category, the TVS Ladies One Make Series and the TVS Young Media Racer Series. The TVS Racing riders in the Group B & C categories will be racing on the TVS Apache GP 165 R motorcycle. We, at TVS Racing, are looking forward to the new season of INRMC. The last season was extremely good for us with our champion rider Jagan Kumar scoring a double hat-trick of championship titles. Also, we won the team and manufacturer championship in Super Sport Indian up to 165cc category. We hope to continue our good form and the first race will be crucial to set the momentum for the rest of the season. The TVS One Make Series is also exciting this year with the inclusion of the TVS Apache RR One Make Series and the introduction of the race spec Apache RR 310 and the new Apache RTR 200 Version 2.0. The Apache RR One Make Series will see 12 racers in the open category competing for the Cup over five rounds. They will be riding the race spec Apache RR 310 that is equipped with a race tuned exhaust, improved induction system; specially mapped Electronic Control Unit and modified foot- peg to provide race ergonomics. The race-tuned motorcycle gets a 313cc, single-cylinder, 4-stroke, 4-valve, liquid-cooled engine that churns out 38 PS@10300 rpm. The engine is fitted with fuel injection system with 40mm Throttle body. The motorcycle boasts of a top speed of 175 kmph and uses a unique reverse inclined DOHC (double overhead cam) engine with LCOC (liquid-cooled oil coolant) technology. The TVS One Make Series will see 16 racers competing in the novice category and 16 racers competing in the Ladies One Make Series. The machines they will be riding is the new Apache RTR 200 Version 2.0 powered by a 4 Stroke, Single cylinder, Oil Cooled, 4 Valve engine with a power of 24PS @ 9300 rpm. It boasts a top speed of 145 kmph and uses 17-inch Pirelli tyres with hydraulic dampers. The race machine will now be equipped with slipper clutch, a modified cam shaft, a retuned front and rear shocks, race tuned intake and exhaust system, retuned carburetor and optimized ignition system. The Championship will also witness the second edition of TVS Young Media Racer Program where 11 journalists will race astride the new Apache RTR 200 Version 2.0 for the three rounds of INMRC.